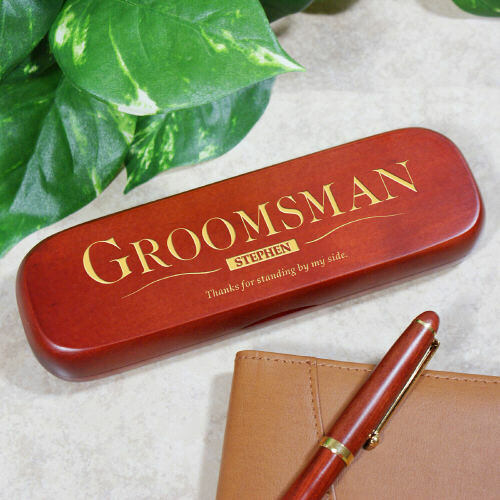 The groomsman box is very beautiful, but the pen is to simple. it would be better without the print that it has and a nicer pen included. Additional Details GiftsForYouNow.com is the leader in Personalized Groomsman Gifts. We have a great selection of affordable personalized gifts the entire bridal party will love. Whether you are looking for trendy Personalized Wedding Keepsakes or Unique Wedding Party Gifts, GiftsForYouNow.com has the right gift at the right price. Shop GiftsForYouNow.com for all your Personalized Wedding Gifts today.